This is definitely not your local Red Cross first Aid course! The goal of this course is to help the participants deal with medical emergencies in a wilderness setting where qualified medical assistance is more than an hour away and you are the only available medical care for awhile. 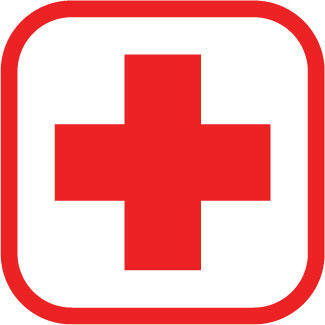 Participants will benefit more if they have completed a basic first aid course. "At the heart of wilderness medicine is improvisation", says Dr. Eric Weiss in his book "Wilderness and Travel Medicine" (included in the course materials). By definition, in all wilderness first aid emergencies you are limited to the gear you brought with you and what you can use in your environment. Participants will learn to straighten angulated fractures, clear a spine, reduce a dislocated shoulder and much more using commonly available materials and easily learned techniques. This a great 16 hour class for those who are looking to experience practical wilderness first aid skills in an outdoor setting. In addition to a half-day of outdoor scenario practice of first aid and emergency leadership skills, this class focuses on practicing skills in and out of the classroom. A three year Wilderness First Aid certification is available upon successful completion of this course, including a written closed book exam. There are pre-class reading assignments that are strongly recommended. Materials will be mailed to each participant prior to class.